What I love in strollers is convenience and style. 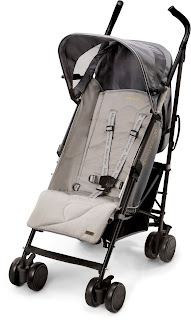 Baby needs to feel very comfortable in it and mommy needs a stroller practical, stylish and easy to use. S.O.S. Mom is making this giveaway possible with the help of a very generous and amazing sponsor called Baby Cargo. 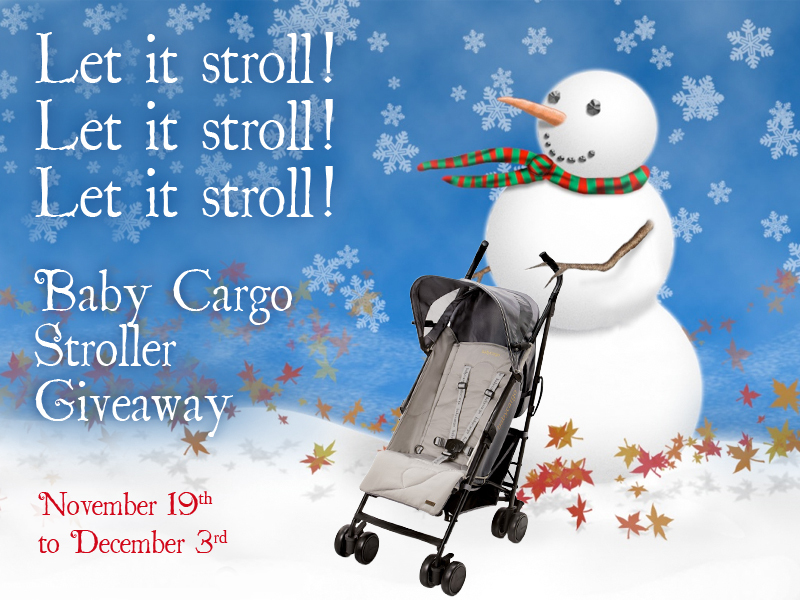 They are offering one lucky family a baby stroller 200 series, retail valued at $149.99. Excited much? Thought so! Baby Cargo is a new line of modern baby gear inspired by iconic architecture, chic fashion and fresh interior design. They offer conscientious parents the most user friendly, premium line of strollers and stroller accessories to live comfortably, safely and stylishly, all at an affordable price. Every stitch, dye, button and rivet is hand-tested for baby readiness, as well as aesthetic quality. From fastener to accessory to frame, they strive to design their products so that each has a fresh, cohesive look with a timelessly durable yet soft feel. Baby Cargo will soon be launching a new product line. Considering how wonderful their current products are, this is exciting news! To view more information on Baby Cargo, their product line or where to find the Cargos, visit their website here. You can also stay in touch with them via their Facebook page or Twitter profile. Their strollers and accessories can be purchased in most major retail stores across the US and are now available in Canada through online purchasing at Sears. Baby Cargo will be hitting the Canadian market as of January 2013, so keep an eye out for that! One very lucky person will receive their own Baby Cargo Stroller 200 series in the smoke/mirrors colour (as seen on picture above). This prize is a retail value of $149.99. Residents of Canada and the US are eligible to enter until December 3rd inclusively. To get your chance to win, simply fill out the Rafflecopter form hereafter. I'd keep it for myself as we only have a double stroller. Thanks for linking up to my FB Giveaway Wall! That's a toss up, because I'm going to have baby #4 in the spring, but I would love to be able to give this to a family in need that my small group has sponsored for Christmas that have specifically requested a stroller.